The wish to bring political life under God's authority is nothing new, and it's clear that today religious passions are again driving world politics, confounding expectations of a secular future. In this major book, Mark Lilla reveals the sources of this age-old quest-and its surprising role in shaping Western thought. Making us look deeper into our beliefs about religion, politics, and the fate of civilizations, Lilla reminds us of the modern West's unique trajectory and how to remain on it. 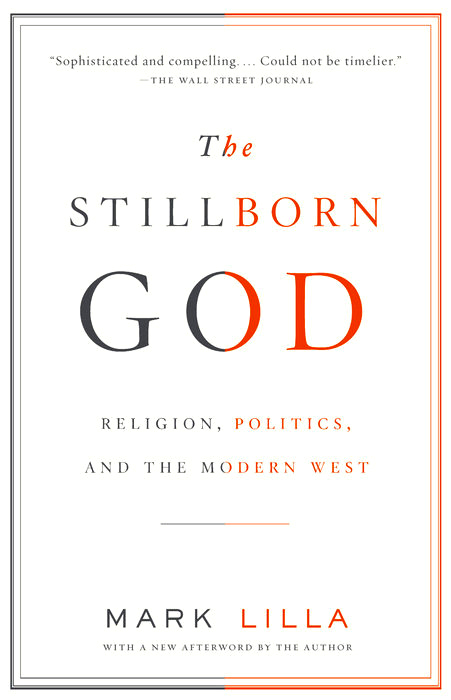 Illuminating and challenging, The Stillborn God is a watershed in the history of ideas. Sophisticated and compelling. . . . Could not be timelier. Introduces the reader to one of the most important chapters in modern history. A lucid book of great learning and shrewd insights into political and religious psychology. Provocative. . . . Adds nuance and complexity to the intellectual account we tell about the West’s thinking on religion and politics.